Earlier today, at the Mobile World Congress in Barcelona, Ford made a splash by stepping away from their typical stomping ground and releasing two new electric bicycle prototypes. This release, of course, is a part of Ford’s new “Handle on Mobility” experiment and stems from their newly incorporated long-term mobility plan– a plan that seems to be aimed directly at the competing technological companies that are entering the automotive game. As a part of their on-going experiment, Ford plans on studying how electric bicycles can work with cars and public transportation to make daily commutes faster and more efficient, especially within urban areas. “The Ford Smart Mobility plan supports our commitment to innovation and is aimed specifically at developing smarter transportation systems that take the worry and anxiety out of journey planning and improve the quality of life in busy cities,” said Ford Europe Chief Operating Officer Barb Samardzich. 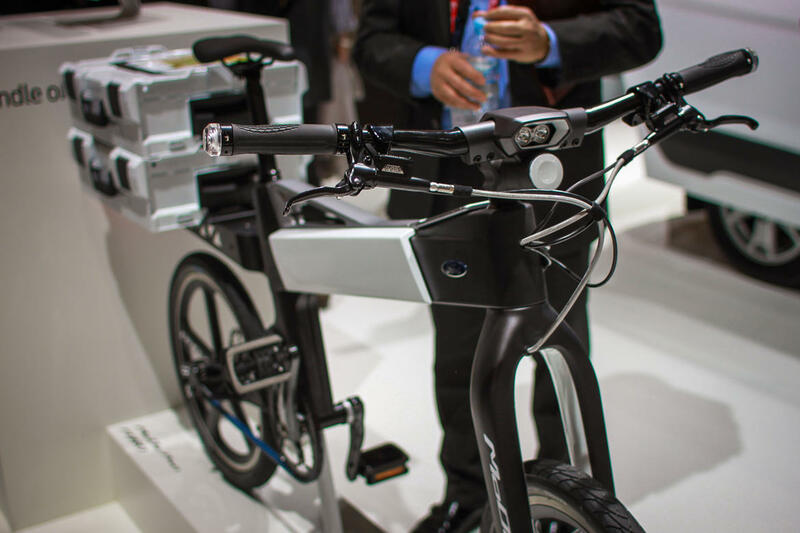 At the event, Ford showcased two “e-bikes”: the MoDe: Me and the MoDe: Pro. Both of the bikes are able to fold into accompanying Ford cars and trucks and charge while not being used. Even better than that, though, is the fact that the bikes feature a 200-watt motor with a nine-amp battery to help with an electric pedal assist, keeping the bike going at a steady 16 mph speed. Ford says that they have no current plans to market the bike, but personally, I think that these little demons could really have a niche in the market. This entry was posted in Culture, Ford and tagged e-bike, electric bicycle, ford. Bookmark the permalink.